Balochistan produces 17% of natural gas and consumed only two percent. 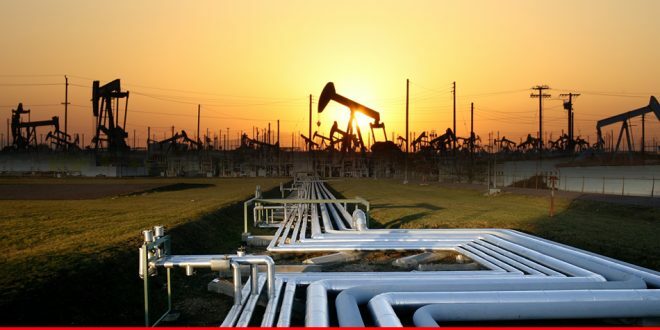 Balochistan, one of the four provinces of Pakistan, produces the largest share of natural gas in the country. The province lights all stoves countywide but unfortunately, itself lacks access to kindle its own. It is believed to be the second largest and the biggest resource-rich province when it comes to the natural gas supply and covers 47% land. The people from Balochistan suffer in extreme due to deficiency of very fundamental amenity as natural gas. The unavailability of natural gas is creating myriad hardships for the people living in the province. The negligence and remiss of authorities concerned along government always have tried to feed the province stones and put it in the prisons of silence silently. According to the statistics, Balochistan produces 17% of total natural gas in the country while Sindh produces 63%, Khyber Pakhtunkhwa 7% and Punjab 3%, according to the report. However, the province had the least consumption 2% of natural gas during 2015-16, according to the statistics of the oil and gas regulatory authority (Ogra) report. During the year 2015-16, the gas consumption in all other provinces have increased. But, unfortunately, it was decreased in Balochistan where the gas consumption was reduced by 4 mmcfd from 55 mmcfd in 2014-15 to 51 mmcfd in 2015-16, revealed the Orga report on the State of Regulatory Petroleum Industry 2015-16. On the other hand, the consumption in Punjab increased progressively greater from 1035 mmcfd in 2014-15 to 1154 mmcfd in 2015-16, in Sindh, it was increased from 1139 mmcfd to 1256 mmcfd while Khyber Pakhtunkhwa consumption boosted from 241 mmcfd to 266 mmcfd, maintained the report. Currently, Balochistan, after Sindh, being the second largest producer of natural gas in Pakistan has much less consumption of natural gas along KPK. Whereas, Punjab followed by Sindh have the greatest consumption of natural gas. The rest of Pakistan has benefitted from the gas field at Sui while Balochistan remained deprived of gas for the first three decades and still receives a miniscule proportion of gas. What’s worse more is that after 60 years only 14 towns out of 34 Balochistan districts have access to natural gas. After the discovery of natural gas in 1952 in Sui Gas field, Balochistan could expect to be the very fortunate province in Pakistan. But, when the exploitation commenced in 1955, the province could only witness its residents chopping down the trees to meet their energy needs. Even Sui town, which is only four miles from the gas field, where around 800 mmscf natural gas is produced daily from 87 completed wells, itself does not have natural gas. The past governments with their colonial minds had the power to reform the worsening condition of the province, but they only made false promises which were never turned into action. Finally, The current government has chance to undo the past wrongs committed by previous regimes. The writer is a part-time teacher at (S.I.T) School of Intensive Teaching in Hub.